That's Crafty! Texture Sand Paste. 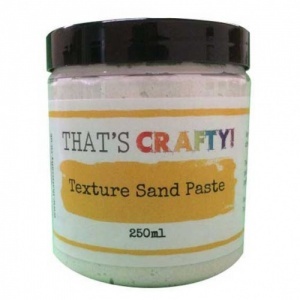 Very thick, white texture paste with a grainy sand texture, to add dimension and texture to your projects. Suitable for almost any surface. Texture Sand Paste is waterbased and can be coloured with or painted over using acrylic paints and can be used with a brush, palette knife or texture tools. 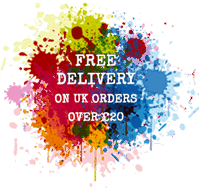 The paste is ideal for using with stencils.